Brandon moved immediately to Las Vegas, where he tattooed on Las Vegas Blvd. He began flying to New Hampshire and getting huge amounts of artwork from his tattoo artist and friend Joe Capobianco. Brandon then moved to Seattle where he worked at Slave to the Needle with Aaron Bell and began touring doing tattoo conventions with Damon Conklin. Brandon then relocated to New Orleans and worked at Electric Ladyland Tattoos. After Mardi Gras, the tour continued to Panama City Beach, Florida, where Brandon embraced the chaos of Spring Break. Brandon then relocated to Atlanta, GA in 2003. It was at this point that Tattoo Savage magazine, Tattoo Revue magazine, and Skin Art magazine all published interviews and pages of artwork from him. His artwork has now been featured in over 500 international tattoo arts publications, and he has been interviewed and published more than any other contemporary tattoo artist in the world. He opened his first studio, All or Nothing Tattoo and Body Piercing, in 2004, which quickly became a household name in tattooing. Artists were imported from all over the nation and the current staff assembled is unlike any other in the history of the industry. All or Nothing immediately inundated the national tattoo convention tour circuit and began accumulating awards and press in an unprecedented manner. No studio in the history of tattooing has compiled so many amazing artists, birthed so many young innovators, won as many awards, or received as much publicity from industry magazines. The artists who have tattooed at All or Nothing are a veritable "who's who" list of today's most innovative and contemporary artists. resident and guest artists include Brandon Bond, Dave Tedder, Sean Herman, Chris Vennekamp, Nate Beavers, Joshua Carlton, Mike Devries, Josh Woods, Mike Demasi, Jeff Paetzold, Eric Merrill, Tim Victim, Tim Orth, Justin Weatherholtz, Albie Rock, Bryan Reynolds, Jason Ackerman, Anthony Orsatti, Ted Wallen, Lenny Renken, Pierre Monteleone, Zeke Owen, Vince Villavalzo, Short Parker, Jace Masula, John Lloyd, Matt Dunlap, Chris Nelson,Shauncey Fury, Tony Mancia, Nathan Kostechko, and slews of others. 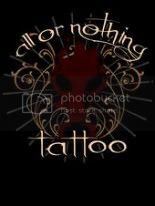 All or Nothing Tattoo has raised the bar and "changed the way people get tattooed in America" (Crave Magazine). Brandon Bond was voted "ARTIST OF THE YEAR" in 2005 at the South Florida Tattoo Convention, and again in 2006 by his peers and fellow tattooers at the North Carolina Tattoo Convention. Brandon is now tattooing exclusively by appointment only in two studios in northwest Atlanta, and is booked about a year in advance. A $500 dollar deposit is required with a five-hour minimum. Due to his demanding schedule, new clients are referred to www.allornothingtattoo.com to review the artists' works and to preferably pick an artist from the ocean of talent found in Brandon's public studio. All bookings are handled through his assistant, [email protected]. The second studio is a private studio that hosts a movie theater, Jacuzzi, koi fish water garden, nine-foot tall statues, Brazilian flooring, beautiful marble throughout, and every amenity imaginable. 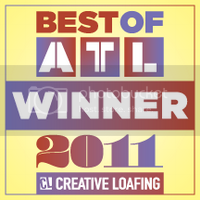 www.ANTIARTELITE.com and www.ANTIARTATLANTA.com are both active websites from the opulent VIP studio. It is the most innovative environment to receive tattoo artwork in the history of the industry. The results of his workaholism are reflected in over fifty featured articles in fourteen countries, including Brazil, Germany, Australia, Italy, Canada, Mexico, Venezuela, Scandinavia, UK, and Japan, and of course hundreds of magazines in America. His work has also been featured on MTV, Animal Planet, VH1, TLC, A&E, and the Discovery Channel. Brandon also owns STRANGLEHOLD Publications (found online at www.STRANGLEHOLDMERCH.com) and has produced five books and five full length DVDs. His book first book WHORE has received worldwide acclaim and incredible reviews. The first documentary release entitled "See You in Hell" also received accolades from critics and press and won "Best Documentary" awards at the River City Film Festival. His second film, The Whole Enchilada, is an instructional DVD that is for sale to licensed tattooers only. This project stemmed from many months of touring doing live seminars at tattoo conventions and the inability to show the attendees up-close exactly what he does when he tattoos. Two locations were used for filming this two-hour onslaught. Both the live seminar and a private studio all-access view into the tattoo process are included in the DVD. This DVD became a series and is now a three disc collection covering over 6 hours of advanced topics and instruction. His publishing company has flourished and the online retail sales are exceeding even his own expectations. His most successful film to date, a feature film entitled "VICKtory to the Underdog" which he directed, produced, and starred in, has been nominated for countless awards, and was recently honored with the coveted "Best Social Commentary" award at the AOF Film Fest in Los Angeles, CA. The proceeds from this film are also being donated to animal charities in need. Brandon is involved in countless charity endeavors including "Toys for Tots", raising funds for fallen police officers, children's healthcare, and abused animals. His most successful and well known charity is www.AtlantaPitBullRescue.com which continues to flourish.